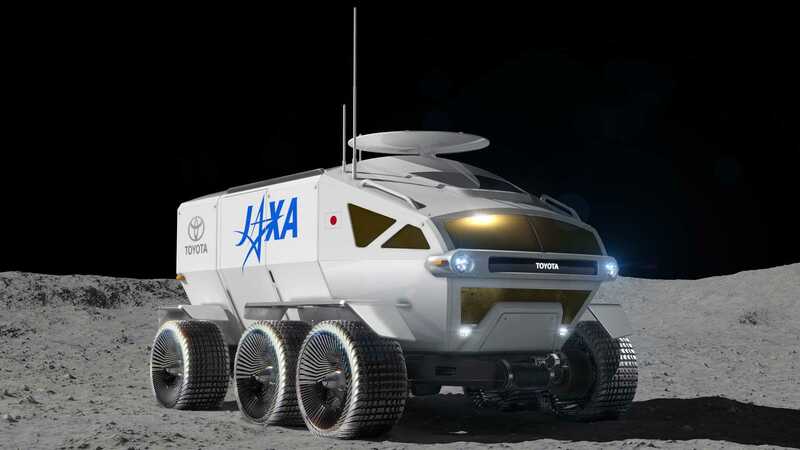 Toyota and JAXA – the Japan Aerospace Exploration Agency – have joined efforts to design and build a manned Moon rover that will embark on an exploration mission to the Earth’s largest natural satellite in 2030. The company has revealed the first images showing an early prototype version of the rover. The vehicle will be equipped with a large array of solar batteries and will have a lifespan sufficient for covering around 10,000 kilometers (6,214 miles) on the Moon surface. The rover will have the entire set of life support systems on board and will be able to accommodate up to two passengers. Owing to its fully airtight cabin, astronauts will be able to take off their space suits while inside. The vehicle is around six meters (19.7 ft.) long, 5.2 m (17 ft.) wide and 3.8 m (12.5 ft.) tall with 13 square meters (140 sq. ft.) of interior space. Toyota isn’t the first car manufacturer to create a moon rover, though. Audi did it some time ago with the Lunar Quattro. The pilotless rover maxes out at 3.6 km/h (2.2 mph) and houses two stereoscopic cameras as well as a field lab for studying various materials it finds on the surface of the Moon.